Let’s first redefine the phrase “veggie dip.” What once described a dip you dipped veggies in is now the dip itself. Or I guess we could call it a veggie veggie dip. Or veggies with veggies. Or veggies2. OK, I’ll stop now. Sorry, I just get really excited when I’m able to eat/serve this many veggies without anyone even realizing it. So sneaky. Zucchini is standing in for chickpeas here. All of the other traditional hummus ingredients are the same; we’re just subbing in a vegetable for a bean. 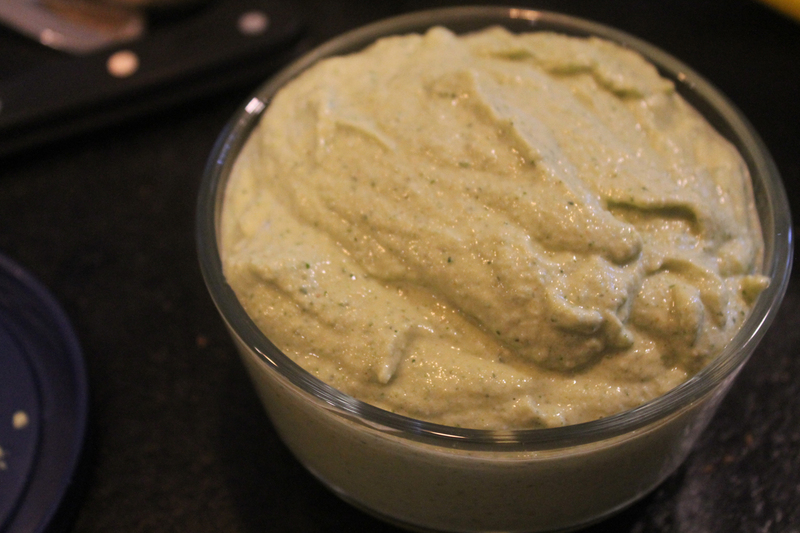 The zucchini makes for a much lighter dip too – nice and cooling for summer. And since zucchini has a lot of water in it already, it doesn’t need nearly as much liquid or oil to get that smooth, creamy consistency. In a food processor, first pulse garlic to mince. 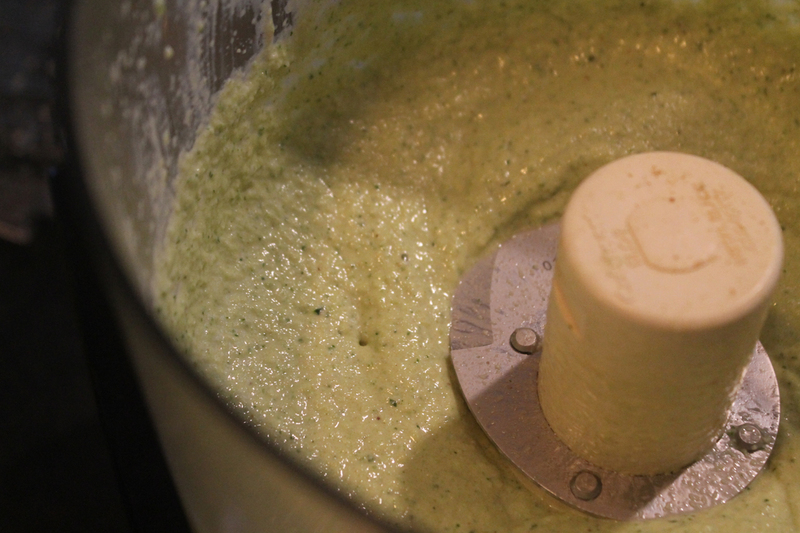 Add zucchini, tahini, lemon juice and start to process. While the mixture blends in the processor, stream in olive oil through hole in the top, then add salt. Process until completely smooth. Taste for yourself and feel free to adjust to your liking with extra oil, salt or tahini. 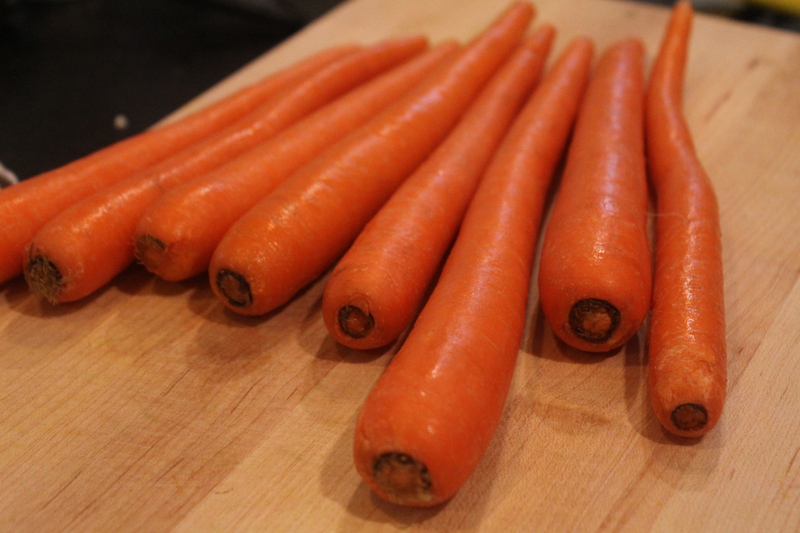 Transfer to a bowl and dip to your hearts content with carrots, celery, cucumber, snap peas… or heck, even zucchini! If you want to change it up, you can also add spices like cumin or paprika. Or to put a different spin on it, add roasted red peppers, fresh basil or Kalamata olives. This is a great idea!! 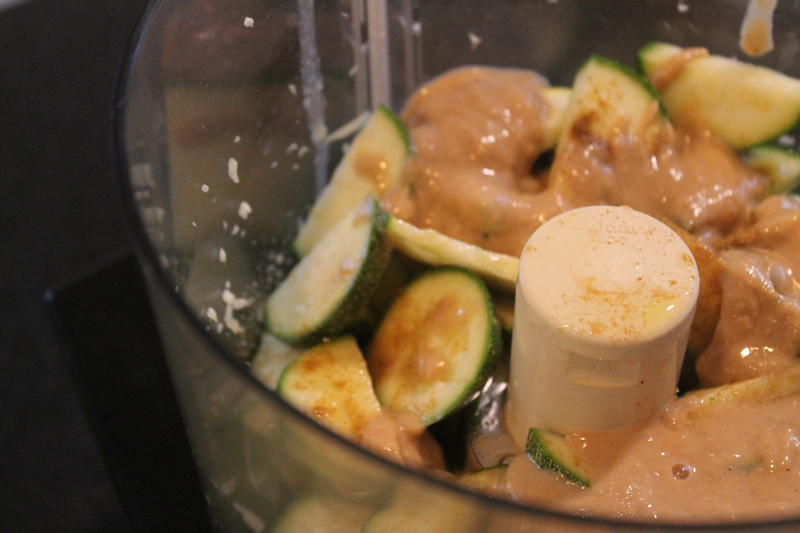 I have done a few variations of hummus, but never with zucchini. Cannot wait to try! This receipe sounds amazing! I’ve been looking for other ways to make hummus. I’m going to have to try it!